Conqueror Industries offers a comprehensive range of metal coating services including powder coating, wet paint spraying and warm to touch coatings. Established in 1992, we serve clients across a wide range of sectors throughout the UK. We are committed to quality, service and reliability. Operating 24 hours a day, we offer a fast, efficient service providing quality and value. We also provide a collection and delivery service. Being an ISO 9001:2015 accredited, quality-focused company, we have developed robust quality control mechanisms that produce consistent results every time. 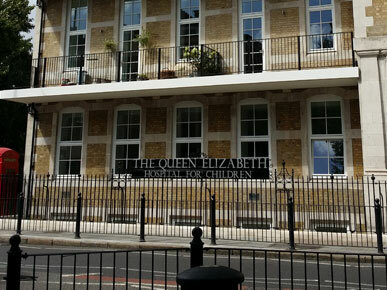 Our work is backed up by guarantees of up to 25 years depending on the preparation and treatment used. We offer a comprehensive range of preparation and coating services including shot blasting, Zinc Phosphate pre-treatment, powder coating and wet paint spraying. We work with companies in a wide range of industries including architectural, construction, door & window, electronics, street lighting and retail. Established in 1992, we are a leader in the metal coating and finishing industry and are known for our quality, reliability and service. We can handle a wide range of work from simple jobs to prestigious commissions and MOD standard work. 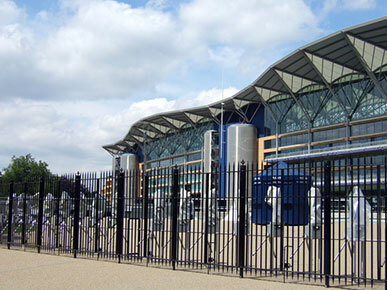 Conqueror Industries were commissioned to paint the railings and gates at the entrance to Royal Ascot. Each leaf of the gate weighed in excess of 1 tonne and the dimensions spanned 2000mm by 3000mm. 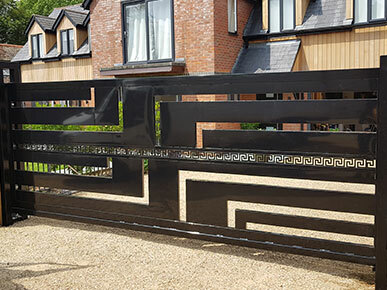 The gates were coated from a galvanised base with a black polyester powder coat. In addition Conqueror were commissioned to restore the original Harland and Wolff gates from the Royal enclosure, creating the ‘Uniting Two Societies’ sculpture found at the racecourse today. At Conqueror we have considerable experience working on complex projects and were able to use our expertise to complete this difficult job. Conqueror Industries were commissioned to powder coat a gate for Worsys Welding recently. The specification was to blast clean to Sa2.5, add an anti corrosive powder coat primer to ensure a long lasting finish. Finally the powder coat the gate using Black RAL 9005 full gloss polyester powder coat. Our customer was extremely pleased with the results “I’d just like to thank your company on an absolutely stunning finish to the gate you did for me” Worsys Welding. At Conqueror we have considerable experience in powder coating to an extremely high standard so please contact us if you would like to discuss the services that we offer.